We know how limiting a small apartment can be in terms of space and size, which is why a little bit more innovation and creativity is often needed when it comes to its design and decor. Today, we are going to visit Geneva, Switzerland where architect professionals Fastarch will show us just how creative and innovative design and decor can be. They've taken what was essentially a construction site and transformed it into a modern, stylish and sleek apartment that looks spacious and warm all at the same time. 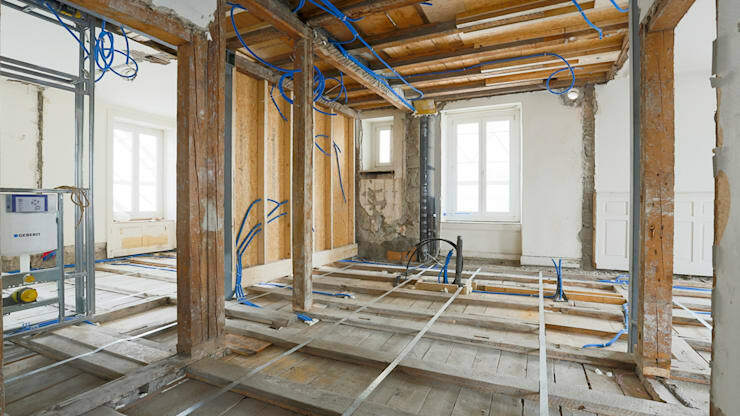 In this image, we can see that before the renovation, the home was merely a shell of exposed cables, raw beams and construction work. It's very hard to picture the potential of a space like this, although we can see that one positive attribute is the natural light that flows through this space. This will make a big difference in the overall design. In fact, natural light can instantly make a small space seem larger and more expansive. Have a look at these tips to bathe your home in natural light for inspiration. 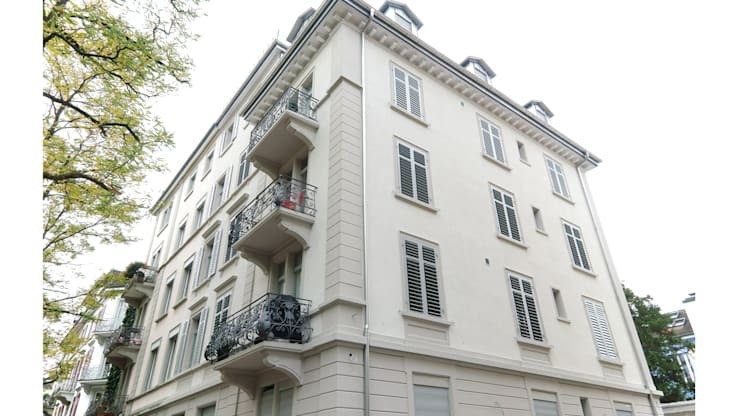 In this image, we can really see how the potential of the apartment has been realized! 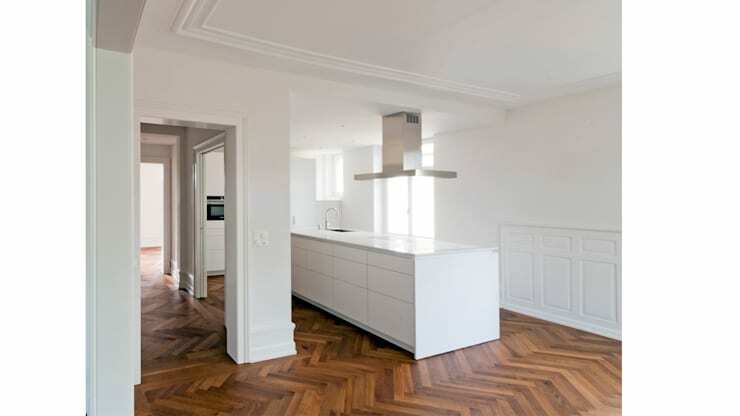 The designers have gone for a very neutral, Scandinavian colour palette with wooden parquet flooring and white walls. These reflect the natural light that flows into this space back on itself, while still allowing for homeliness and warmth. The apartment features an open plan design, ensuring that every inch of the floor space is maximized. This is a great design tip! If you want to make the most of your small home, get rid of any unnecessary walls or divisions throughout the interior. This will create a better flow between the rooms, opening the home up so that it seems much bigger. In order to achieve a sleek and spacious looking home, you need to invest in smart storage solutions, which is exactly what the designers have done here. They have ensured that there is plenty of cupboard space so that all unnecessary or non-functional items can be stored neatly out of sight. 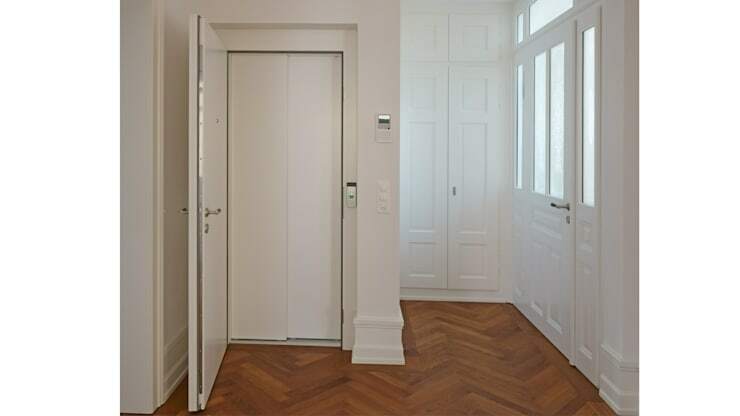 They've even managed to fit in a gorgeous little internal lift, which is packaged neatly behind a white door. This is a great example of how functionality and style collide! Have a look at these really clever storage solutions for small homes. The dominant white tones persist, even into the kitchen. This creates a very sleek and stylish looking room! A kitchen should always look clean and hygienic as well as warm and welcoming, which is why the designers have stuck to these minimalist and trendy tones. Again, they've invested in smart storage, keeping all cutlery, crockery and glassware neatly out of sight. 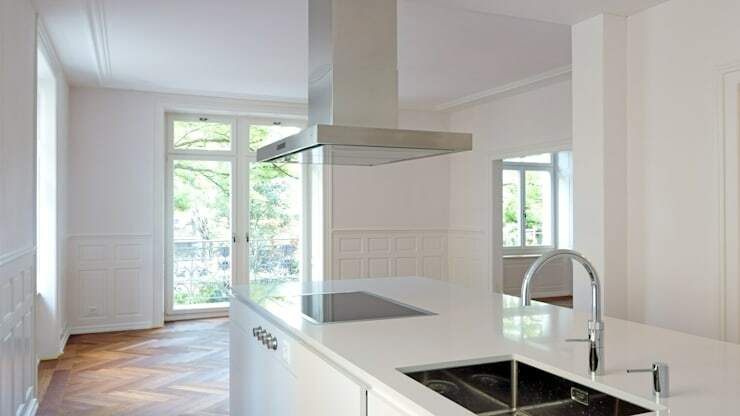 This allows the counter tops to remain bare, which makes for a very visually appealing cooking space. A kitchen island has also been installed in the kitchen space, creating an extra surface area for the family to prepare food. This island also features a sink and a stove, which allows cooking to be done without the kitchen area becoming too cramped and crowded. Another advantage is that a kitchen island provides extra storage space. You'll never run out of cupboards with this feature in the kitchen! A kitchen island also provides a more casual space for the family to gather as well, where they can share stories over cups of tea. 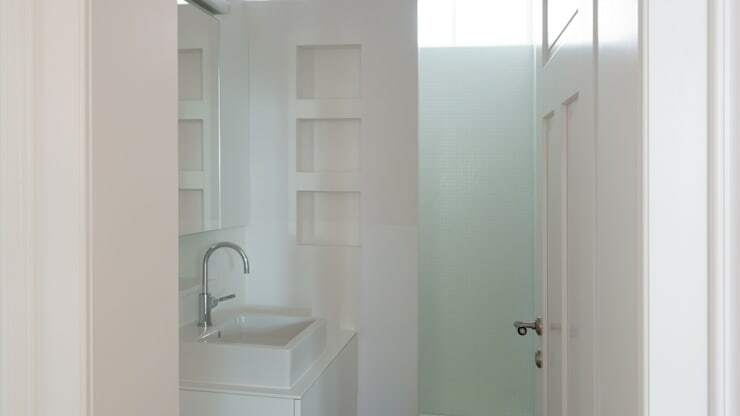 In this image, we can see how the light colours work beautifully for a bathroom space, creating a serene little haven where family members can have some peace and quiet. The designers have paired the white walls with modern fixtures, creating a very elegant and sophisticated look throughout the space. You don't even notice how small it is! They've also inserted shelves in the wall, where personal products can be stored neatly away while remaining easily accessible. 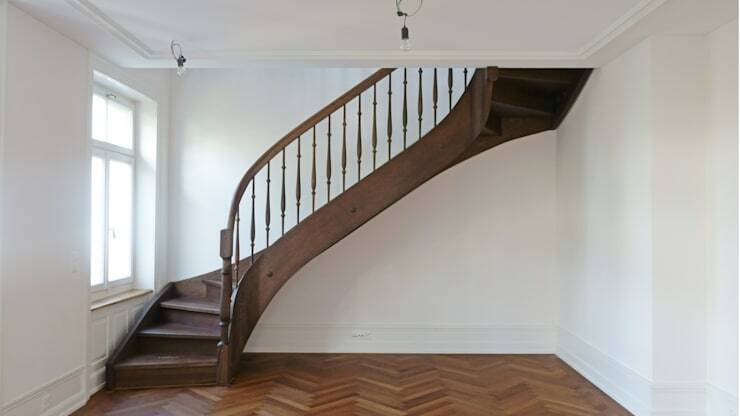 The staircase in this home is worth mentioning because it is not simply a functional element. The warm wood and delicate curves bring a fabulous and classic design element into this space. This is a wonderful example of how staircases can be utilized to transform the design of a home, which is important because they are used so frequently. 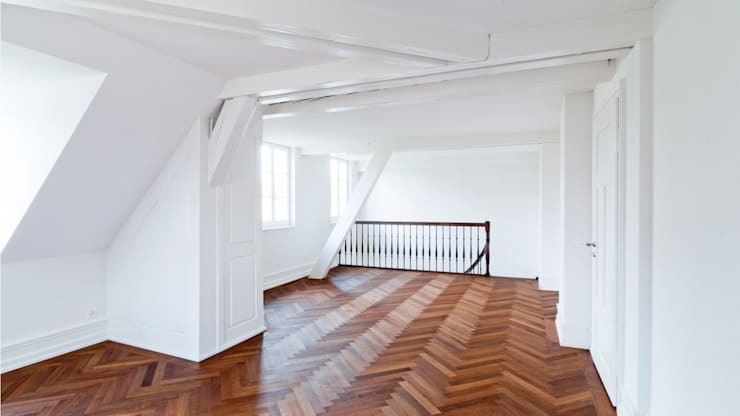 Have a look at these other wooden staircases that wow. In this image, we can see just how beautiful the exterior is. It is modern and maintained with a fresh coat of paint, but it still features traditional elements from the original building. This preserves the history of the space. We also saw this inside the home, in the form of the classic staircase. It's important to note that a renovation doesn't mean erasing the heritage of a building or home. In fact incorporating new and old elements can result in the most original, unique and impressive design.